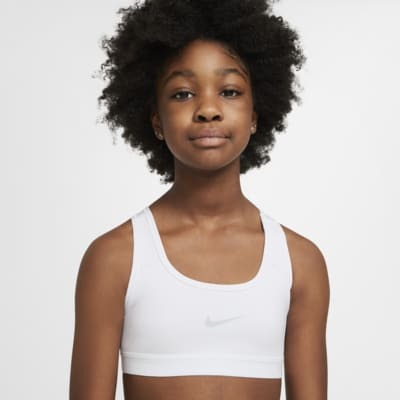 The Nike Sports Bra has a racerback design that lets you move freely. Thick knit fabric with Dri-FIT Technology helps you stay dry and comfortable. Racerback straps feel snug and supportive. Fabric: Body/panels lining: 82% polyester/18% elastane. Elastic: 90% nylon/10% elastane. Front lining: 85% recycled polyester/15% elastane.